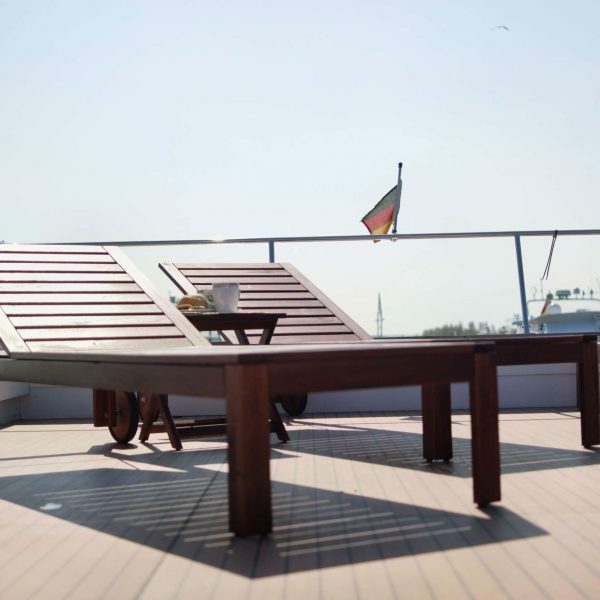 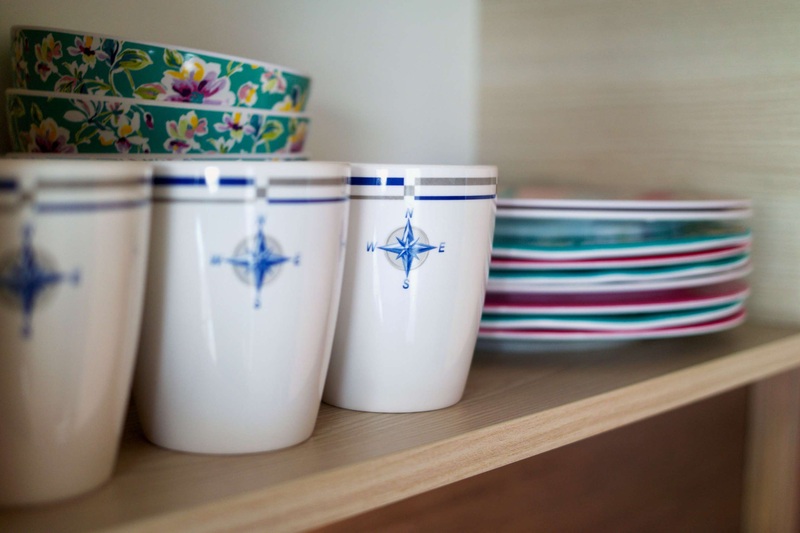 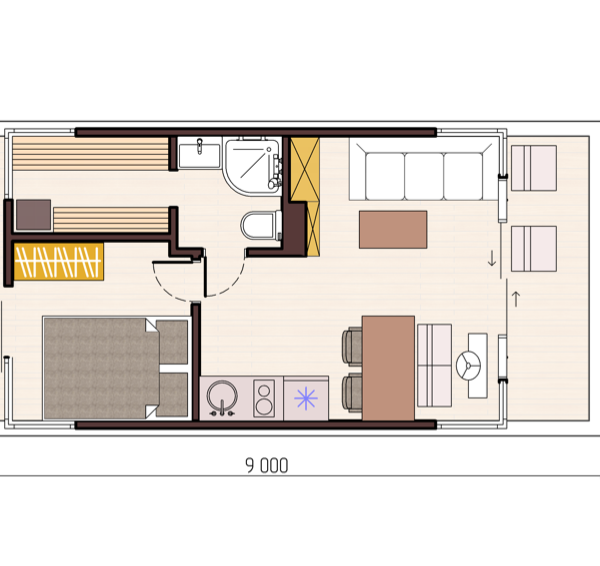 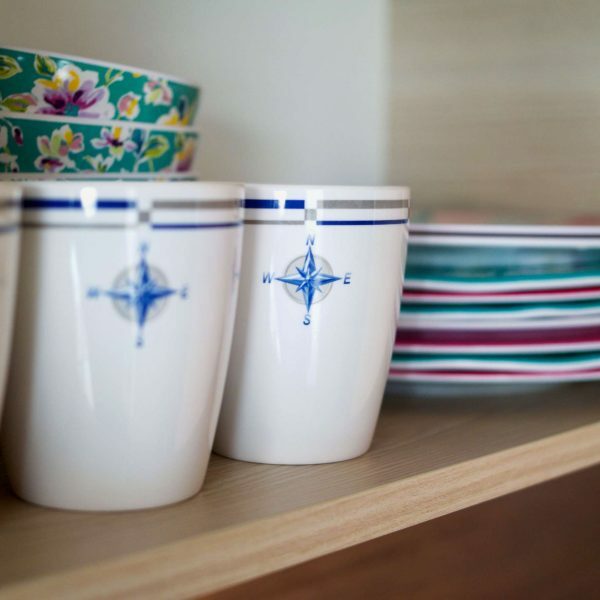 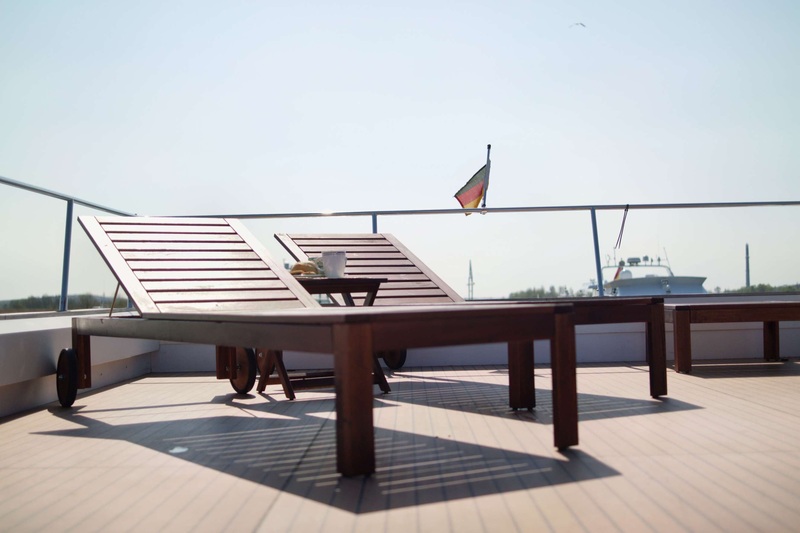 Comfortable class D houseboat Edelweiss of 9 m length is a perfect choice for a rest of 4 persons. 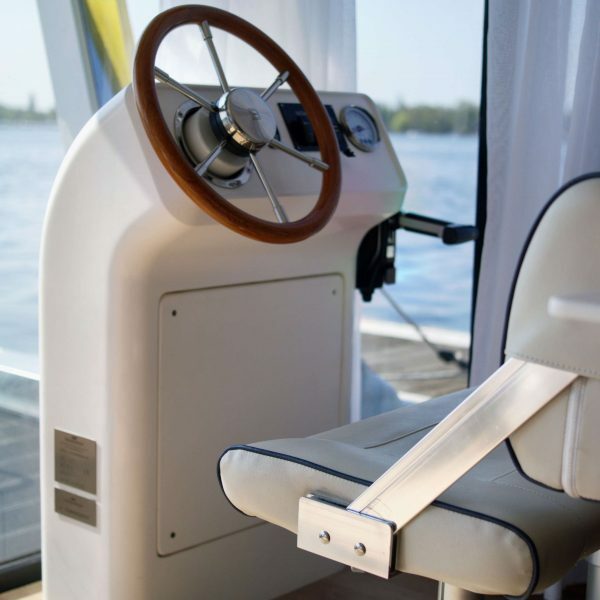 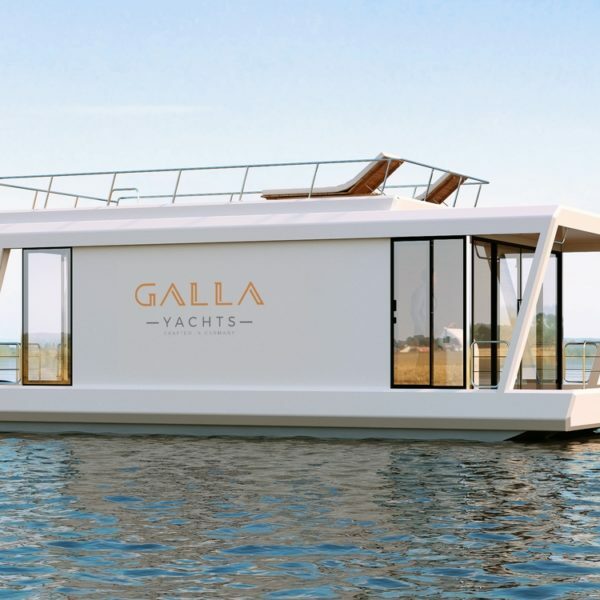 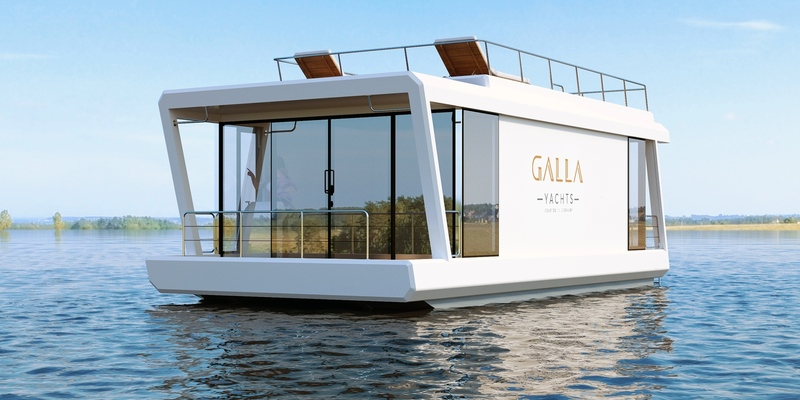 The catamaran-style design ensures stability of the houseboat, and plastic air tanks increase the manoeuvrability. 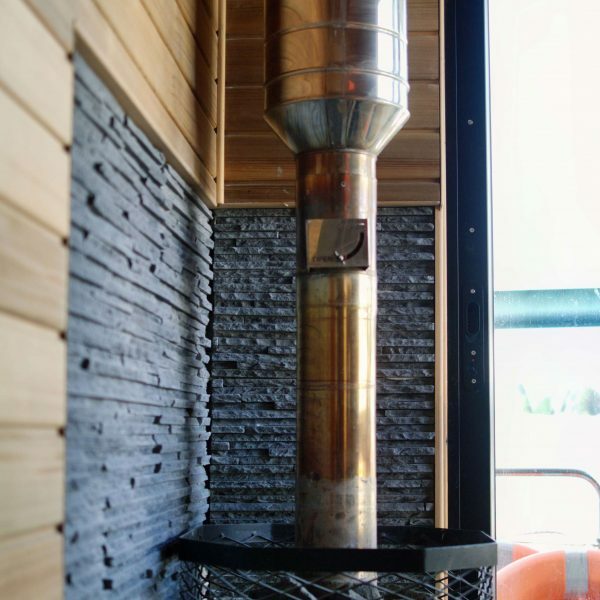 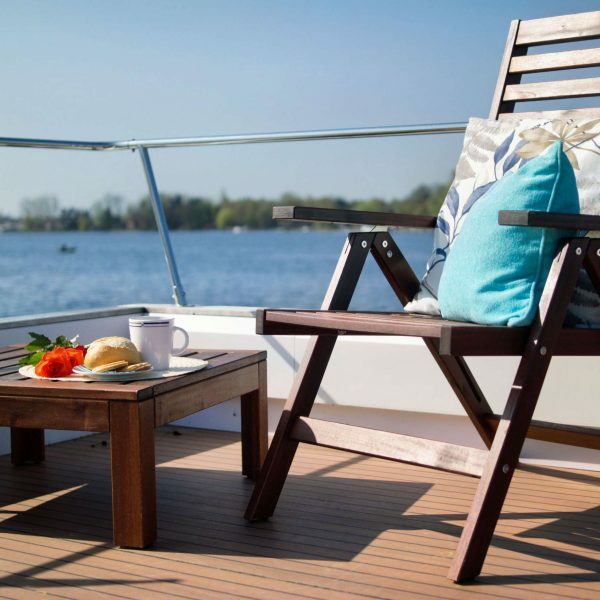 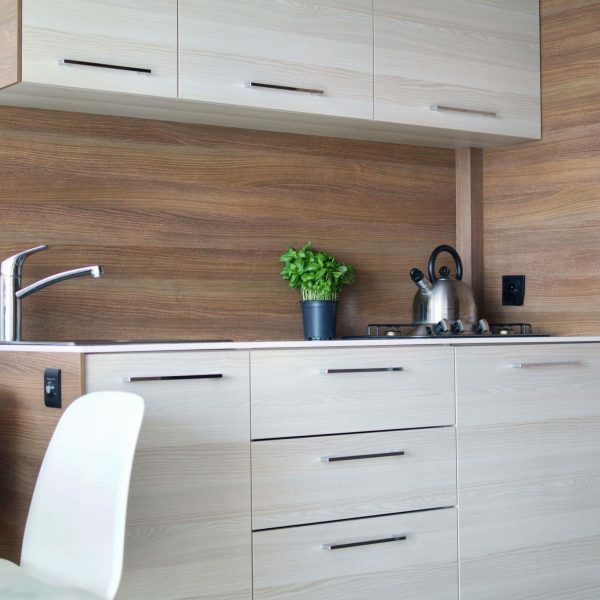 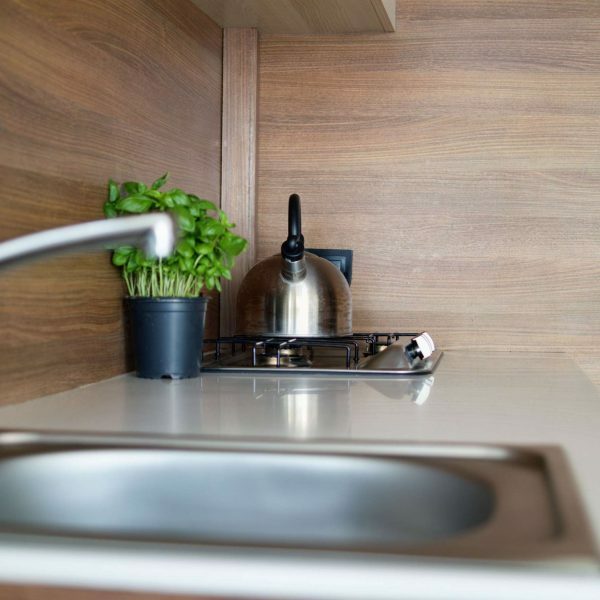 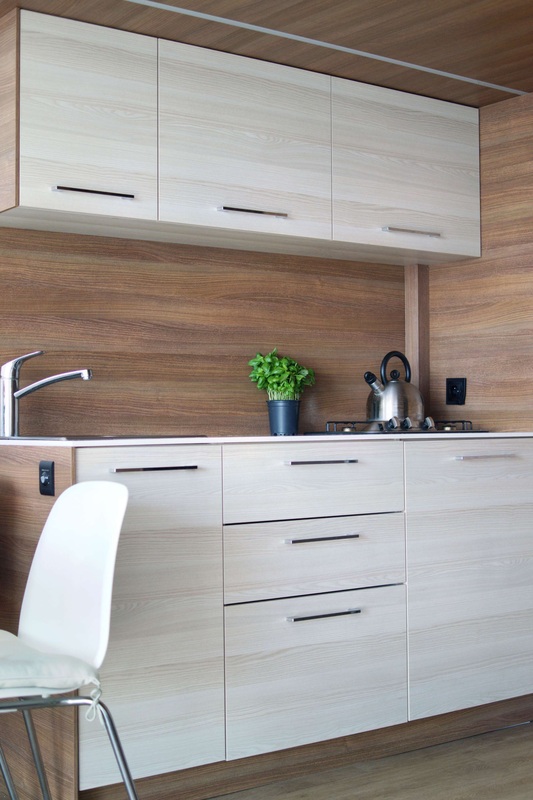 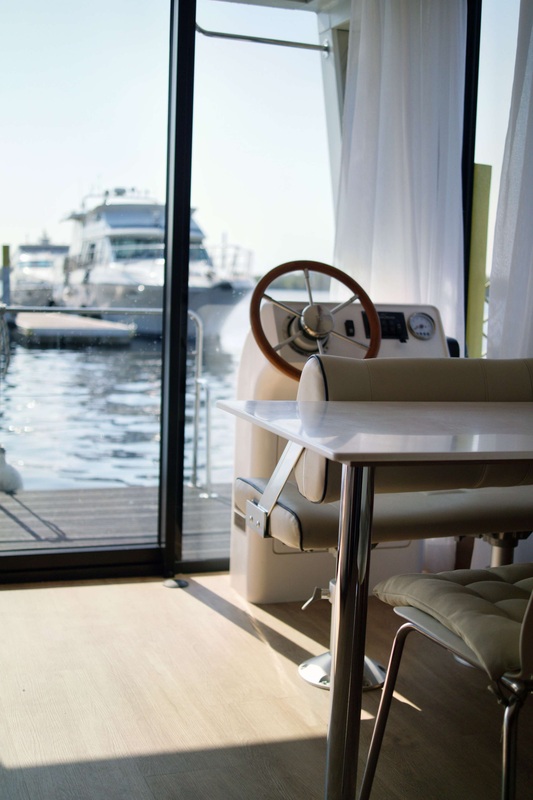 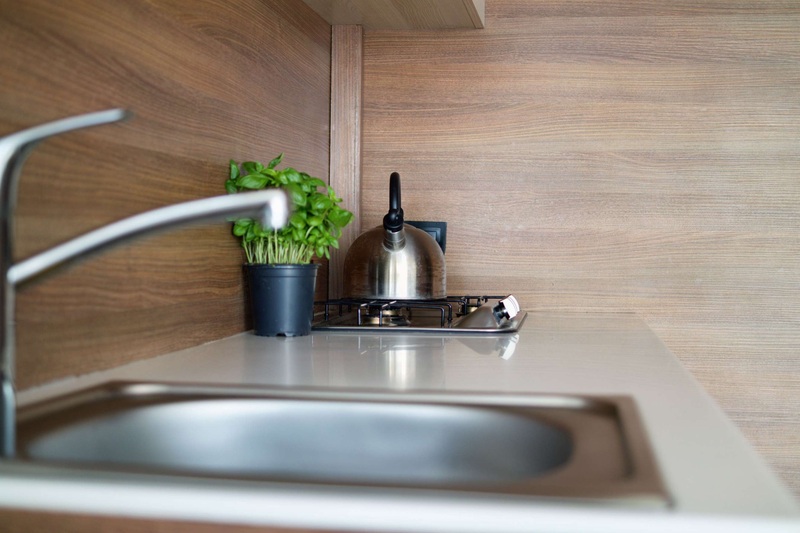 The hull of the houseboat Edelweiss is made of composite materials, which ensure the strength, and the IREX protective layer provides insensitivity to temperature fluctuations even in winter months. 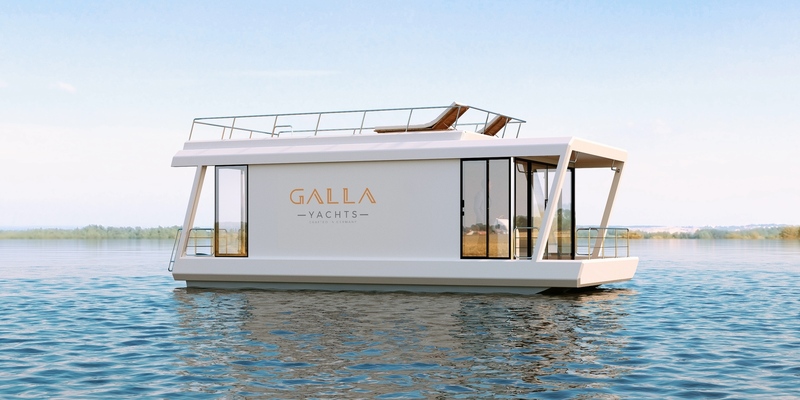 The total area of the yacht is 36 m² and includes three levels – bow, stern, and roof. 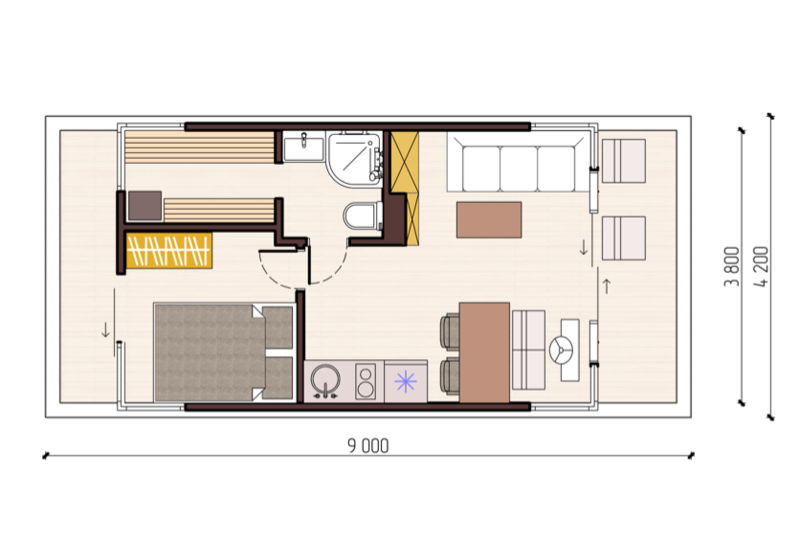 The living area is 25 m². 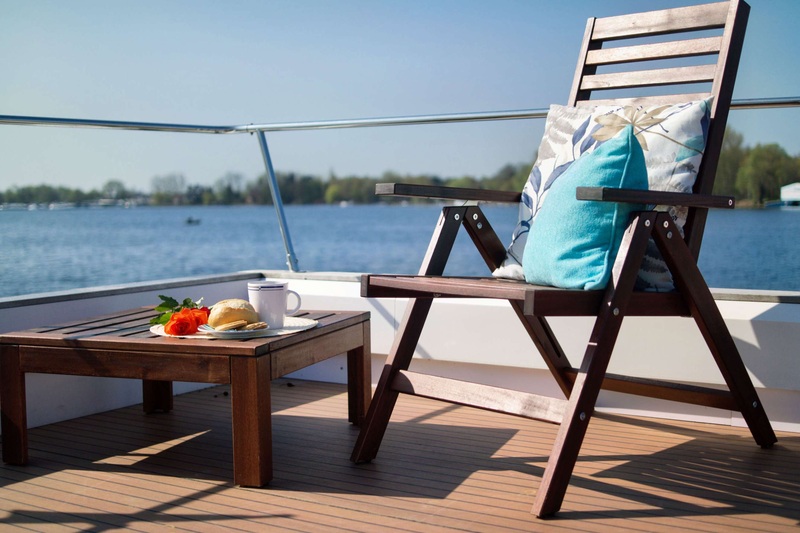 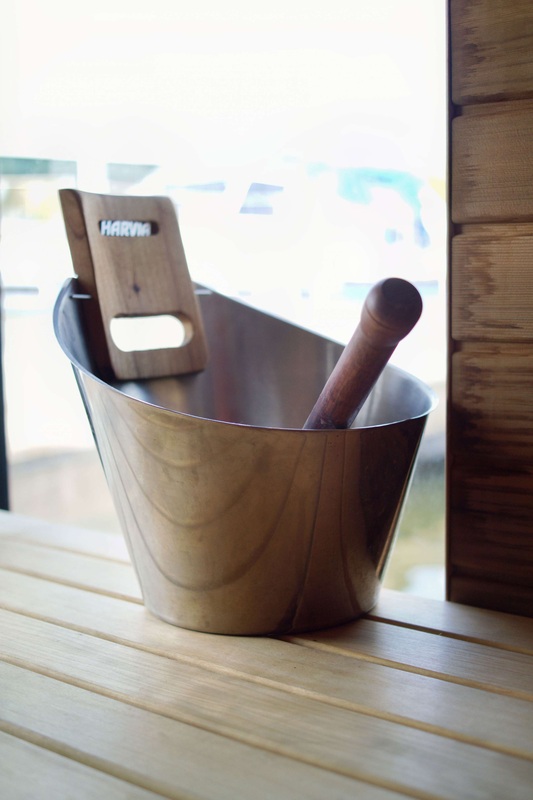 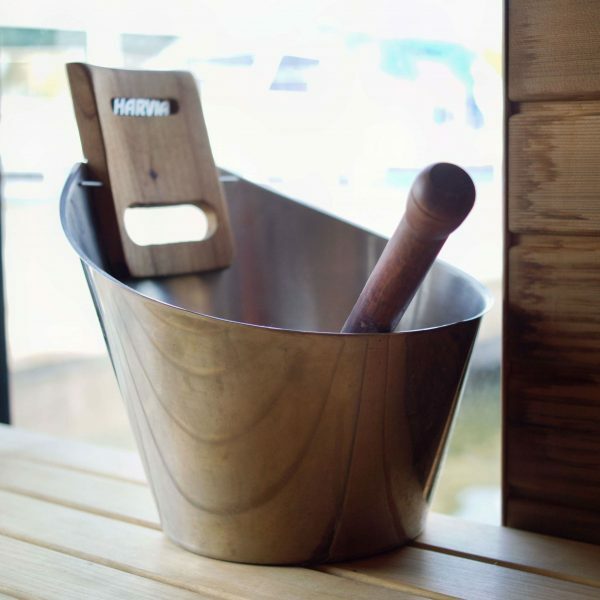 The houseboat Edelweiss is equipped with an engine Suzuki 11 KW of 100 l volume. 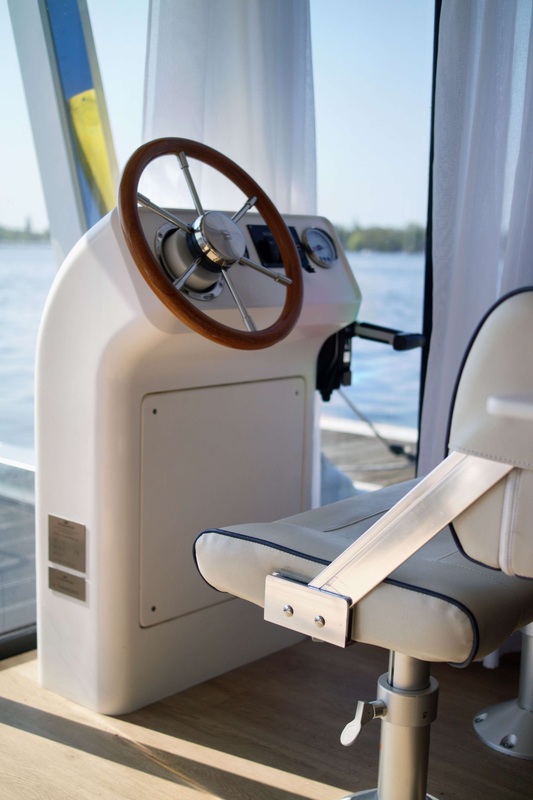 The power of the engine is 14.9 hp, and it means that you do not need a license to steer this model during your boating holiday. 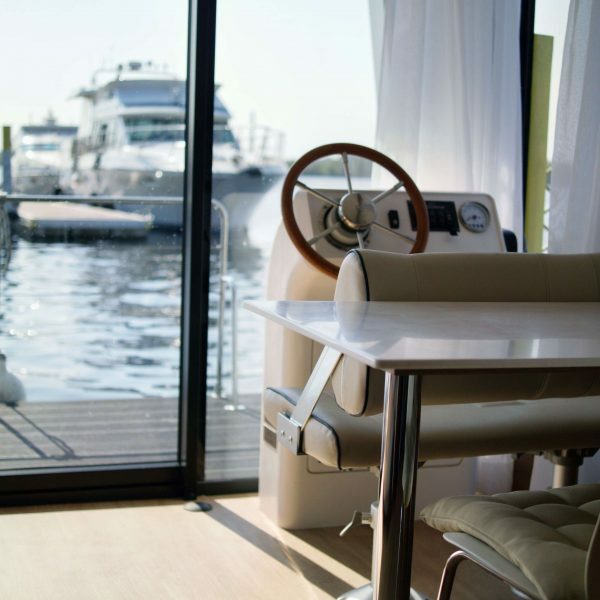 You can rent or charter this houseboat, as well as buy it. 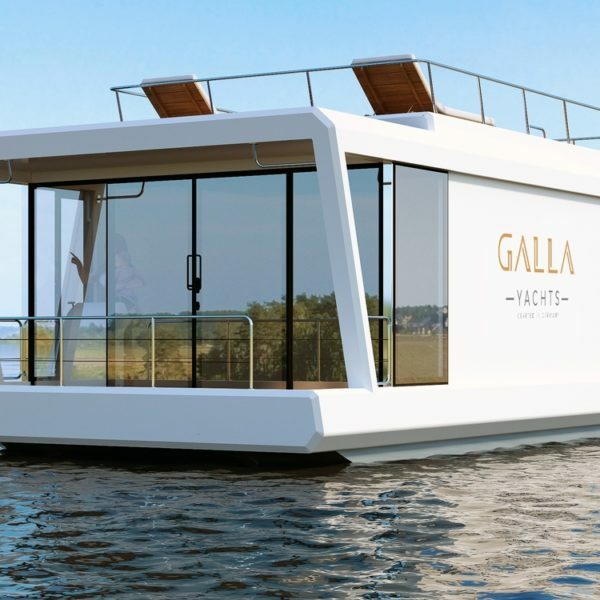 The Edelweiss houseboat has onboard three water tanks with a capacity of 330 l each, rechargeable batteries, solar batteries and LED lighting. 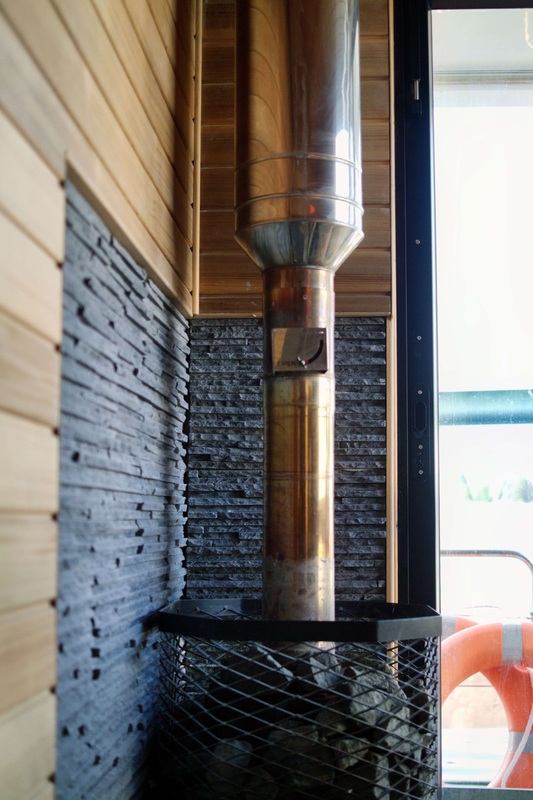 The Edelweiss houseboat has also a sauna installed.